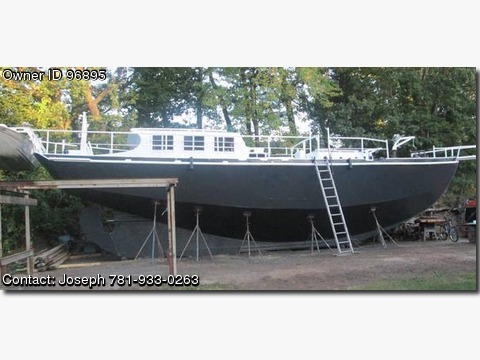 Please contact the owner directlly @ 781-933-0263 or j.mchughjr@comcast.net..Boat was built in 1946 by Baltimore Electric Welding Co. Constructed of 14&quot; plate steel. Six foot headroom in pilot house. Detroit connected to new TWIN DISC 506 21 reduction gear engine rated HP 125, max RPM 1800. Campbelsailer propeller, power propeller, 2 steel tapered masts, 3 large heavy anchors w300 ft. of 12 inch anchor chain, Lunenburg manual winch, 4,000 wastt hydraulic generator that can be belted off main engine with a Klutch Master. This is a project boat that needs to be completed. Additional items and information is available.